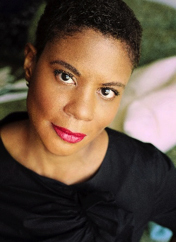 Alondra Nelson is an interdisciplinary social scientist whose research focuses on the intersections of science, medicine, and social inequality. She is the incoming President of the Social Science Research Council and former Dean of Social Science and professor of sociology and gender studies at Columbia University. Dean of Social Science and professor of sociology and gender studies at Columbia University. She has also taught at Yale University and been a visiting fellow of the Max Planck Institute for the History of Science, the W.E.B. Du Bois Research Institute at Harvard, and the BIOS Centre at the London School of Economics, and her work has been supported by the Ford Foundation, the Andrew W. Mellon Foundation, and the National Science Foundation. Her previous books include the award-winning book Body and Soul: The Black Panther Party and the Fight Against Medical Discrimination and her writing has appeared in the Washington Post, Science, Boston Globe, and the Guardian, among other media.